When a baby is in distress, the use of forceps may be appropriate to facilitate birth. The tongs are placed on either side of the baby’s head, near the ears and cheeks. As each contraction occurs, the physician is supposed to gently guide the baby’s head downward and out of the birth canal. When forceps are used properly and standards of care are followed, the baby can generally be delivered quickly and should not sustain any harm. If used improperly, however, the damage can be extensive and permanent. Correct placement of the forceps tongs is critical. If they are applied unevenly to the baby’s head, the strain could cause compression of the head, tearing of the vasculature in the brain as well as brain bleeds and hemorrhages. Other potential problems include facial bone distortions, brain swelling and brain damage, which can generate other issues, such as seizures, epilepsy, ischemia, hypoxic ischemic encephalopathy (HIE) and cerebral palsy. Forceps are a surgical instrument that resemble a pair of tongs and can be used to help pull the baby out of the birth canal. Obstetrical forceps were developed in the early 1600s by a French man who became the personal obstetrician-surgeon to Queen Henriette, wife of King Charles I of England. Forceps were shown to help avoid infant deaths when previous approaches (involving hooks and other instruments) failed in devastating ways. In fact, early use of forceps was one of secrecy; they were carried into a birthing room in a lined box and would only be used once everyone was out of the room and the mother blindfolded. Forceps were also known to cause traumatic injuries. The design of the forceps evolved, and in the late 1800s, Tarnier forceps were the most widely used system in the world until the development of the C-section. In the last few decades, however, with the ability to perform a C-section safely, and the introduction of the vacuum extractor, the use of forceps and training in this technique has sharply declined. There are four different classifications of forceps in relation to how high up the baby’s head is in the birth canal: outlet, low-, mid-, and high. Outlet forceps delivery occurs when the baby’s head is visible between contractions without separating the labia and the head has reached the pelvic floor. Low forceps delivery occurs when the baby’s head is at +2 station or lower, but has not yet reached the pelvic floor. Mid forceps delivery occurs when the baby’s head is engaged in the mother’s pelvis but is above +2 station. Note that many residency programs in the U.S. no longer expect proficiency in mid forceps delivery. C-section is often recommended over difficult mid forceps delivery. High forceps delivery is no longer done in modern obstetrics. This type of delivery occurred when the baby’s head was not engaged in the pelvis. Typically, the delivery technique in this case is now C-section. The fetal size must have been estimated with clinical pelvimetry, showing adequate dimensions. The physician must have experience and be skilled in forceps use. The baby is less than 34 weeks gestation. There is an increased risk of fetal intraventricular hemorrhage at these ages. Cephalopelvic disproportion (CPD). In this case, the baby’s head is too large to pass through the mother’s pelvis. *According to the American College of Obstetricians and Gynecologists (ACOG), a physician should not sequentially use different delivery instruments during a birth. The instrument attempts should be made by one instrument only. Thus, if forceps have been used, a vacuum extractor may not subsequently be used to deliver the baby. If a baby cannot be delivered by forceps, the physician must move on to a C-section. The blade of each forceps branch is the curved portion that is used to gently grab the baby’s head. The forceps should surround the baby’s head firmly, but not tightly. Short forceps are applied on the baby’s head once the head has descended significantly in the maternal pelvis. Long forceps are able to reach a baby’s head still in the middle or even in the upper part of the maternal pelvis. It is contrary to recognized standards of care to use forceps to access the baby’s head in the upper pelvis. Thus, short forceps are the recognized standard in the U.S.
With a fully dilated cervix and ruptured membranes, the mother is placed on her back, usually with the aid of stirrups. The station of the baby’s head must be at least +2 in the lower birth canal. Ascertaining the precise position of the baby’s head is crucial. The two blades of the forceps are individually inserted, and the position on the baby’s head is checked. Her head is then rotated to the occiput anterior position if it is not already in that position. The baby then can be delivered with gentle traction in the axis of the pelvis (a straight line with the middle of the pelvis). Traction should be steady and gentle and in the line of the birth canal. Gentle traction should be exerted with each contraction and in tandem with maternal expulsive efforts; the forceps can be relaxed between contractions to reduce fetal cranial compression. The procedure should be abandoned if descent does not occur with appropriate application and traction; delivery should occur by the third pull with forceps. According to research, pulling more than three times is associated with infant trauma. The physician should not be fixated on affecting a vaginal delivery. It is essential that the physician be willing to abandon a forceps delivery and have the ability to perform a prompt C-section. Indeed, serious injuries can occur if standards of care are not followed during a forceps delivery. ACOG has classified forceps delivery to reflect the degree of difficulty and attendant risk, and have stated that a lower fetal station and smaller degrees of head rotation are safer. Under very unusual circumstances, such as the sudden onset of severe fetal or maternal compromise, application of forceps above +2 cm station may be attempted while simultaneously initiating preparations for a C-section delivery in the event the forceps maneuver is unsuccessful. However, under no circumstances should forceps be applied to an unengaged presenting part or when the cervix is not completely dilated. It is the responsibility of the physician to inform the mother of the risks of forceps delivery, ensure that the instrument is used appropriately and that the mother and infant are properly monitored both during and after birth. It is crucial for standards of care to be followed at all times during use of forceps. Permanent damage can result if the physician has a poor technique. There should be no twisting of the neck or head, and no excessive pulling. Brachial plexus / erb’s palsy. This occurs when the brachial plexus (group of nerves to the arms and hands) is injured. It frequently occurs in births involving shoulder dystocia (difficulty delivering the baby’s shoulders). As a result of this type of injury, the baby cannot flex and rotate her arm. Sometimes the injury resolves itself; however, if the nerve is torn, there may be permanent damage. Brain hemorrhages or bleeds. A serious complication of a forceps use is a subgaleal brain hemorrhage. In this case, the force of the forceps ruptures a vein, which bleeds into a space between the scalp and skull. This condition is life threatening with a mortality rate as high as 20%. This type of bleeding is most likely to occur with excessive force and prolonged application. This often leads to neurological impairments and cerebral palsy. It is imperative that the baby be very closely monitored during labor and delivery. Forceps may only be used when obstetrical indications are present. Due to the potential for severe injury, it is critical for the physician to be very skilled in forceps delivery technique and follow all standards of care. Failure to follow guidelines and standards of care is negligence. If this negligence leads to injury in the baby, it is medical malpractice. 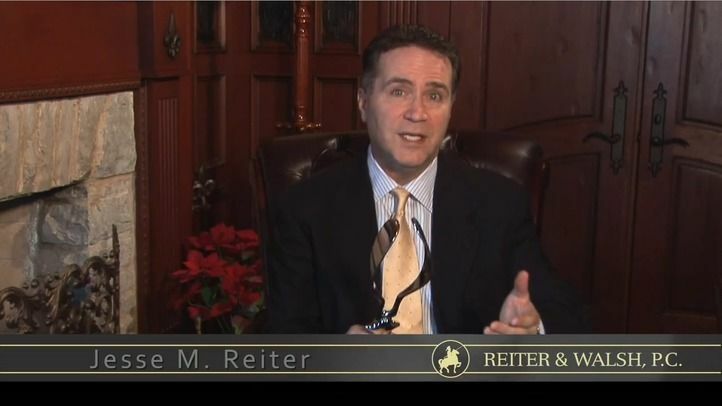 Birth Injury lawyer Jesse Reiter, president of ABC Law Centers, has been focusing solely on birth injury cases for over 28 years, and most of his cases involve hypoxic ischemic encephalopathy (HIE) and cerebral palsy. Partners Jesse Reiter and Rebecca Walsh are currently recognized as being two of the best medical malpractice lawyers in America by U.S. News and World Report, which also recognized ABC Law Centers as being one of the best medical malpractice firms in the nation. The lawyers at ABC Law Centers have won numerous awards for their advocacy of children and are members of the Birth Trauma Litigation Group (BTLG) and the Michigan Association for Justice (MAJ). Yancey MK, Herpolsheimer A, Jordan GD, et al. Maternal and neonatal effects of outlet forceps delivery compared with spontaneous vaginal delivery in term pregnancies. Obstet Gynecol 1991; 78:646. Society of Obstetricians and Gynaecologists of Canada. Guidelines for operative vaginal birth. Number 148, May 2004. Int J Gynaecol Obstet 2005; 88:229. Edozien LC. Towards safe practice in instrumental vaginal delivery. Best Pract Res Clin Obstet Gynaecol 2007; 21:639. Baskett TF, Allen VM, O’Connell CM, Allen AC. Fetal trauma in term pregnancy. Am J Obstet Gynecol 2007; 197:499.e1. Towner D, Castro MA, Eby-Wilkens E, Gilbert WM. Effect of mode of delivery in nulliparous women on neonatal intracranial injury. N Engl J Med 1999; 341:1709. Revah A, Ezra Y, Farine D, Ritchie K. Failed trial of vacuum or forceps–maternal and fetal outcome. Am J Obstet Gynecol 1997; 176:200. Gopalani S, Bennett K, Critchlow C. Factors predictive of failed operative vaginal delivery. Am J Obstet Gynecol 2004; 191:896.